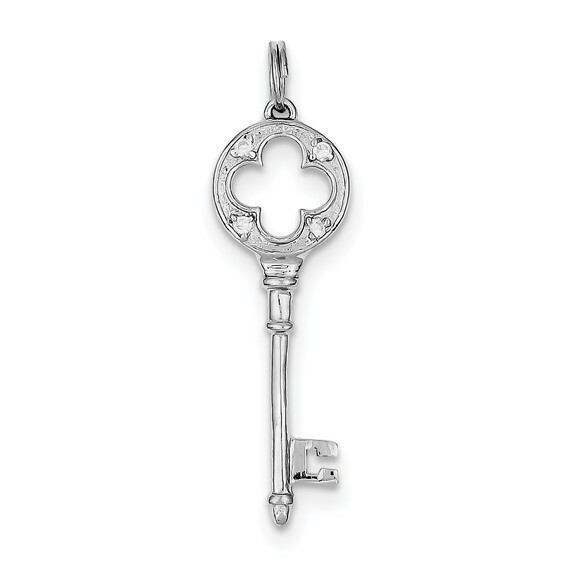 This polished, sterling silver key pendant is 1/2in x 1 1/4in. Item weighs approximately 1.86 grams. Chain not included. Decorated with four round brilliant cubic zirconias.